Beaver Creek campground sits on a bluff above Quake Lake and has 65 multi-use campsites arranged in 3 loops. Summers are usually very nice, but spring and fall will get chilly. The campground has drinking water and vault toilets. Each campsite has a table, food storage locker, fire ring, and grill. Beaver Creek campground is located in a beautiful area along the Madison River and Earthquake Lake. Hebgen Lake is also nearby. The fishing is outstanding and attracts anglers from all over the world. There are also several creeks in the area that offer great fishing. Outdoor recreation includes fishing, fly fishing, boating, canoeing, kayaking, backpacking, hiking, biking, hunting, horseback riding, camping, OHVing and wildlife viewing. A visitor center is also nearby, with interpretive displays and info about the 1959 earthquake that formed the lake. 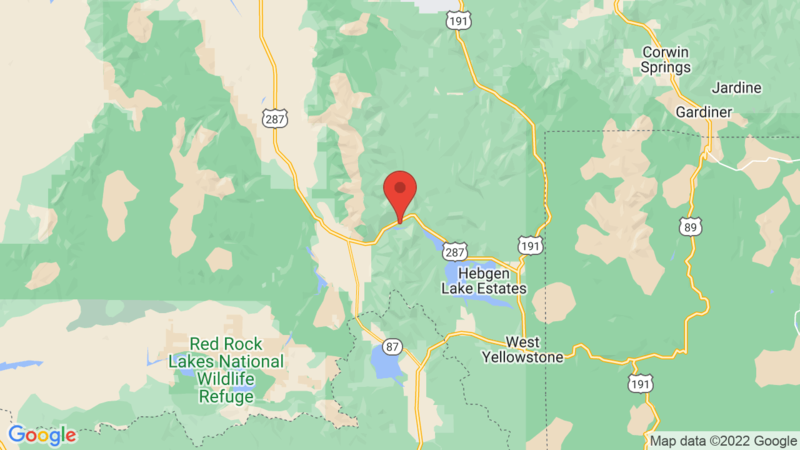 Cabin Creek Campground is also just a few miles up Highway 287 (toward Hebgen Lake). It has 15 campsites for tents and small trailers. Visted Beaver Creek Campground lately? We'd love to hear about your adventure. Did you find us useful? Did we forget something? Anything our community should know before heading out to Beaver Creek?